Spring has arrived in Alabama. The kids are more easily distracted from book work. The lure of a warm sunny day calls to them. It beckons to be played in, and discovered. So with that our lessons evolve from snugly days reading, afternoons coloring, regular crafting, and page after page workbook lessons to a world of discovery outdoors. 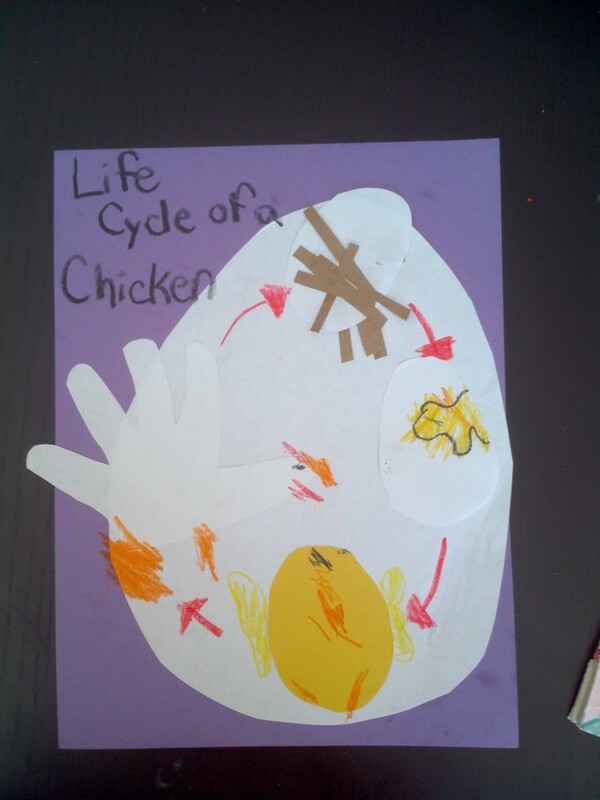 Paige’s craft from when we discussed chickens. We are discovering animals anew. Long walks lead to a discussion on cows, and their nature. 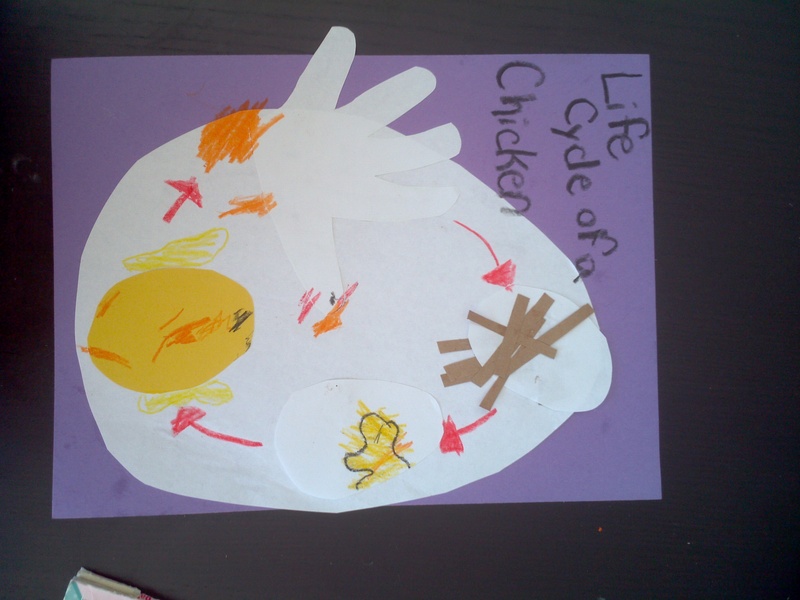 An introduction of the baby chicken to their new environment, begins a discussion of life cycles. 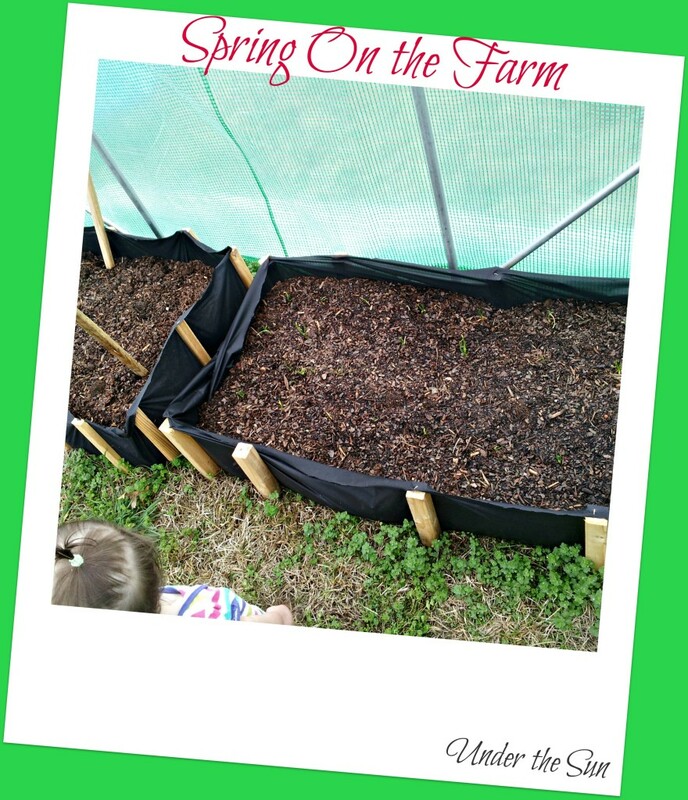 The planting of seedlings produces a wonder in the cycle of life that the Lord has created. The children marvel at how a seed so small can grow so large, which again open the door for more discussion. 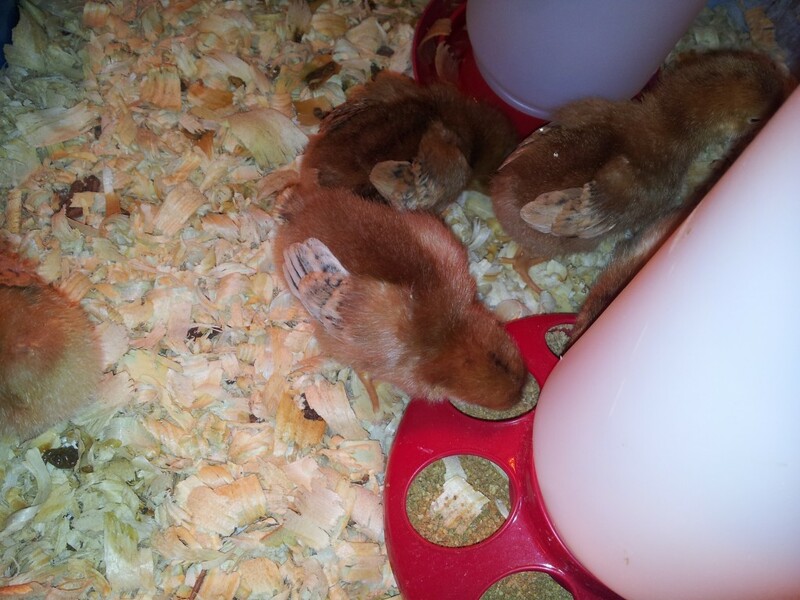 The baby chicks around 1 week old. 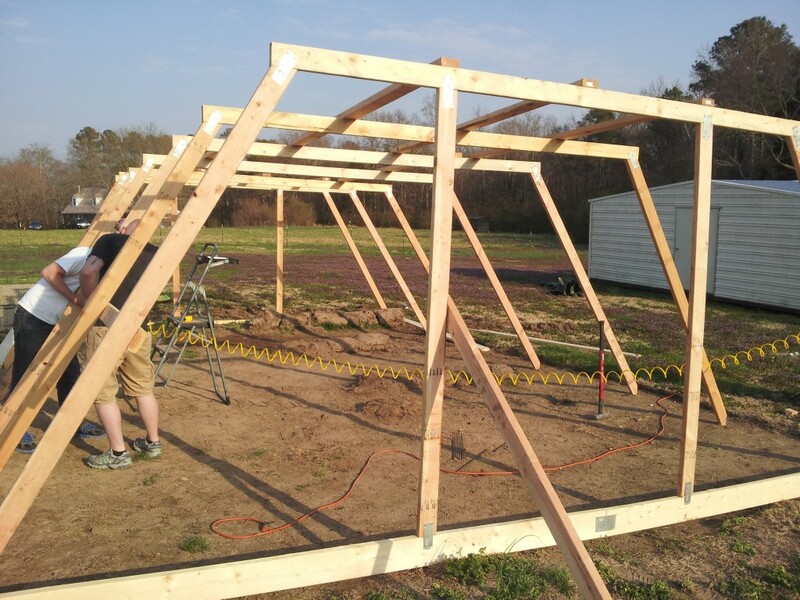 Teamwork and diligence are demonstrated as a green house is being assembled. The value of hard work is being passed on to the next generation. Rusty and a family friend working on the frame for our large greenhouse. Playtime out doors brings its own lessons. Creativity and imagination develop as they turn an old box into their play house. They learn the value of sharing when there are three of them and one softball bat. New skills are being discovered as they are roller skating, riding bikes, and learning to climb trees. The lessons don’t stop because the weather is warm. They simply evolve. There is time enough for book work and crafting when the weather is poor. So while the sun shines I will let them play, for in play they are still learning. What are some ways that you can inspire learning outdoors where you live? 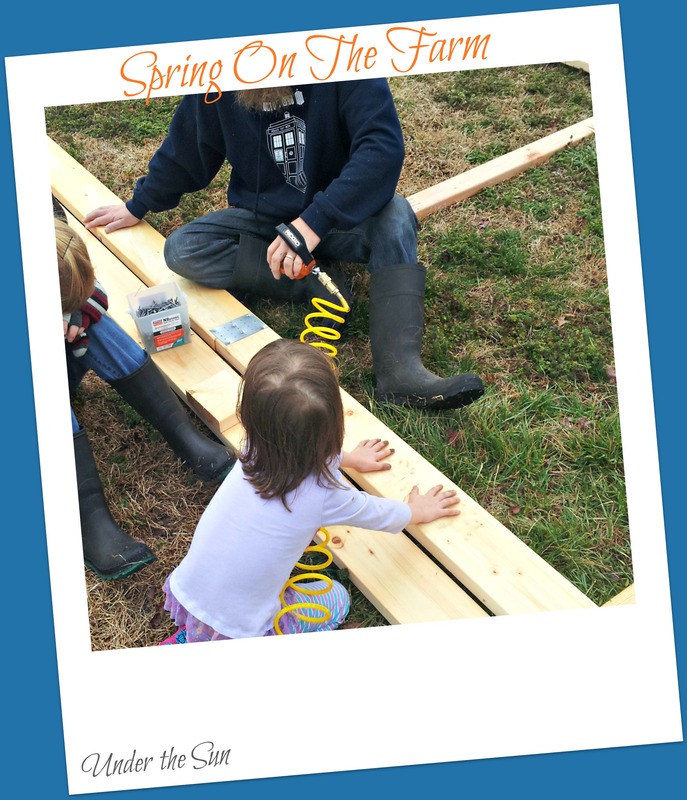 This entry was posted in Children, Homeschool and tagged Children, homeschool, school, spring on March 31, 2014 by Sara R.